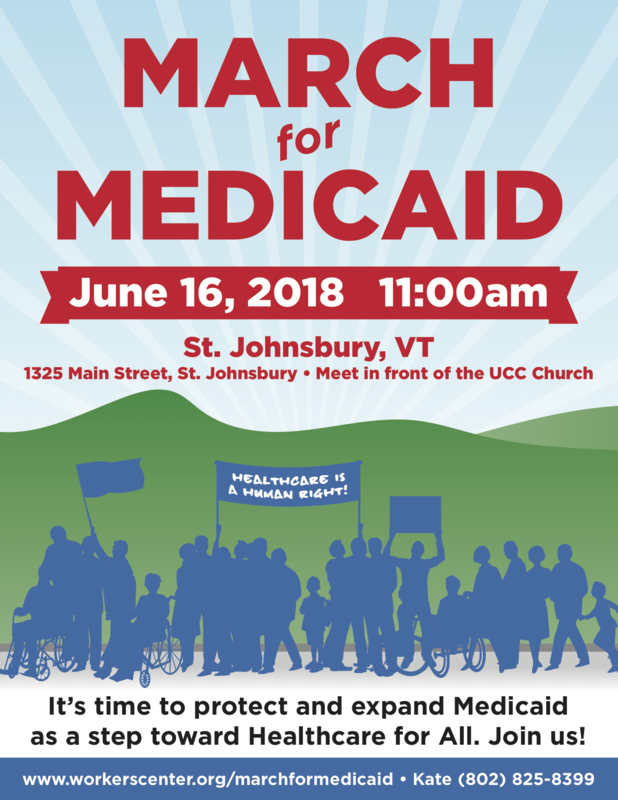 Join the Healthcare is a Human Right Campaign for a family-friendly and accessible march to protect and expand Medicaid in the face of cuts and unjust reforms. Do you receive benefits through Medicaid (or Green Mountain Care) or have a child on Dr. Dynosaur? Do you make just a little too much money to qualify for Medicaid? Are you unfairly excluded from Medicaid due to immigration status or another reason? Do you have trouble affording your healthcare bills or worry about how you would pay for care if you got sick or hurt? Are you a healthcare worker? Are you a union member facing cuts to your healthcare benefits?